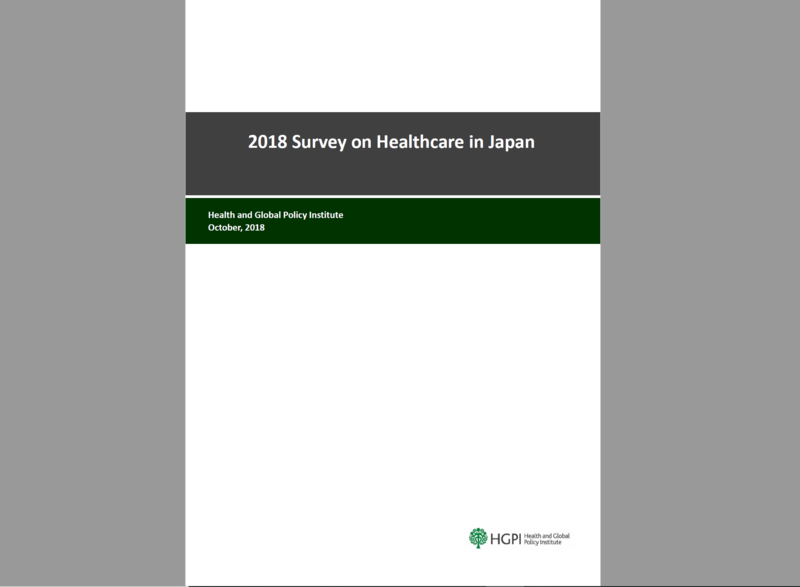 [Research Report] 2018 Survey on Healthcare in Japan - Health and Global Policy Institue（HGPI） The global health policy think tank. Since 2006, HGPI has conducted public opinion surveys on healthcare issues to gain a better understanding of public perception and awareness of health services and healthcare policies desired by the public. The 2018 Survey on Healthcare in Japan focused on topics of discussion that have been popular lately, namely passive smoking, the human papillomavirus (HPV) vaccine, and end-of-life healthcare. 58.1% of respondents avoid entering eating and drinking establishments that allow smoking. 35.8% of respondents are concerned about the health effects of passive smoking from e-cigarettes. 67.0% of respondents cannot say whether or not the HPV vaccine should be recommended. While 66.4% of respondents said they want to discuss end-of-life care, 25.4% have actually done so. Passive smoking and HPV vaccination are public health problems that can cause negative health effects or the loss of life, so future discussions may focus on how to implement countermeasures that are scientifically sound. On the topic of end-of-life care, with promotion of the Guidelines as the starting point, central topics in future discussions may be methods for transmitting end-of-life care information to the public, and constructing healthcare systems to support patients and their families through team-based care.